image from 1918 Suffolk Chronical & Mercury newspaper. 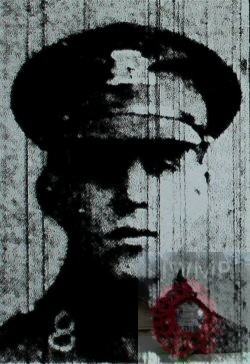 Died: 26th April 1918; age 19; KiA. Employed: as a Clerk, for Messrs. Footman, Pretty & Co., Ipswich. Regiment: Queen’s (Royal West Surrey) Regiment, 7th Battalion. 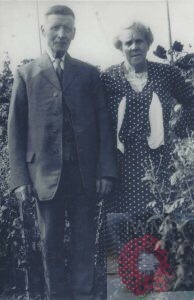 Brother to FREDERICK HERBERT & CHARLES HENRY SKINNER. 1901 Angel Street, Hadleigh, Suffolk. Harold was 2 years old and living with his family & siblings. Frederick Skinner, 32, a Sack & Cloth Cutter, born Hadleigh, Suffolk. Emma Skinner, 30, born Hadleigh. 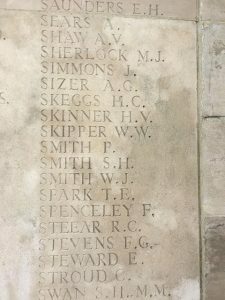 Frederick Herbert Skinner, 9, born Hadleigh. Charles Henry Skinner, 8, born Hadleigh. Elsie May Skinner, 6, born Hadleigh. Stanley William Skinner, 4, born Hadleigh. 1911 10, Gatarce Road, Ipswich. Harold was 12 years old and living with his parents & siblings. Frederick, 42, a Sack Cutter – Sack Manufacturer. Elsie, 17, a Day Girl – Domestic. Stanley, 15, a Office Boy – Corn Merchant. Vera Jessica Skinner, 9, born Hadleigh. 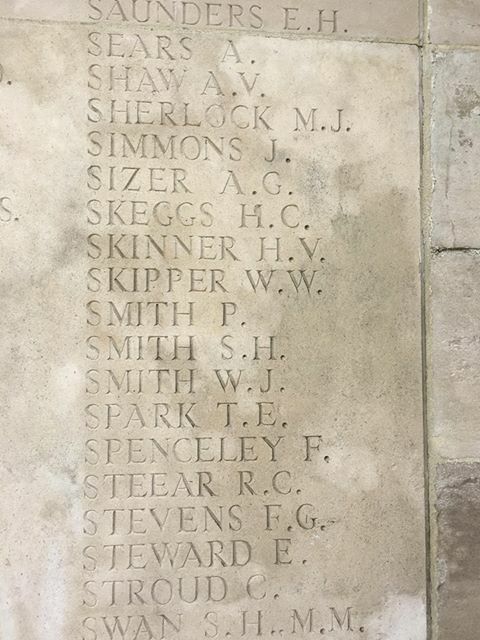 Cyril George Skinner, 7, born Hadleigh. Margaret Maud Skinner, 3, born Ipswich.